Mireene Review 2019: Is Mireene a Good Hosting? Korean web hosting firm Mireene offers SSD hosting, e-commerce web hosting, customizable hosting packages, single unlimited hosting, cloud services, and more. Mireene’s operations are based in Korea and therefore offers its services and support in the Korean language. It offers a comprehensive array of hosting services, including SSD hosting, blog hosting, email hosting, webstore hosting, and server colocation. Mireene was founded in 2004. Mireene’s services are designed to be beginner-friendly. To that end, it offers entry-level packages starting with 500MB SSD storage and 5GB bandwidth, which will be enough to get a simple website up and running. You’ll also be able to easily install an e-commerce platform, should you wish to sell products online. It’s very easy to register for the web hosting service offered by Mireene as it does not require you to be tech-savvy. Mireene’s prices are excellent when you consider the features and ease of use included in its packages. On top of that, you won’t have to pay for any setup fees, and it’s easy to move across the different packages. If you don’t like the service, you can apply for a refund within seven days. There are even several value-added features offered for free, such as a website builder with fully-responsive templates and detailed website analytics. 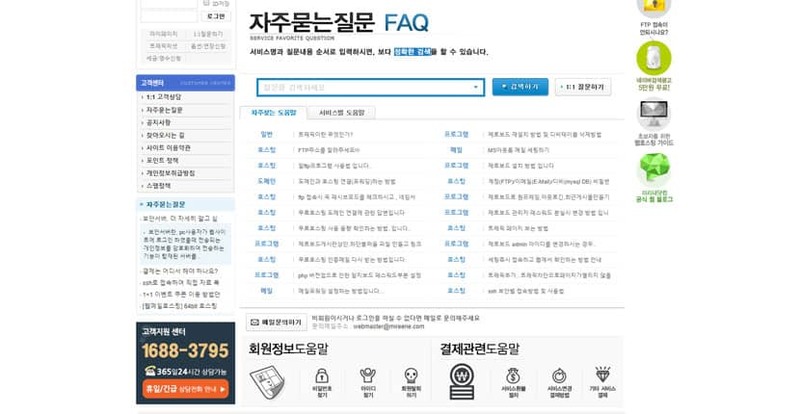 The one thing you’ll have to be aware of is that Mireene’s services are only offered in Korean. This means that if you don’t speak the language, the platform will be largely inaccessible to you. Support options include phone, fax, and email. There’s also a FAQ you can peruse. With their unlimited webmail hosting, smartphone hosting, store hosting, google analytics integration and their various domain services, Mireene serves every one of their clientele to optimal satisfaction. Wondering how Mireene stacks up against other Web Hosting companies? Enter any other Web Hosting company and we will give you a side-by-side comparison.